The south section of the Sabana Seca Navy base possesses areas of great natural beauty. These include limestone hills (mogotes), sinkholes, valleys, and wetlands. This project combines recreation, education and conservation needs by establishing an arboretum near the base of a mogote. 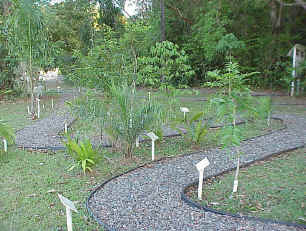 In the arboretum, we planted 42 native plant species. In addition, we designed and installed interpretive stations for a trail that starts at the arboretum, climbs up a mogote and passes through a valley and back to arboretum.